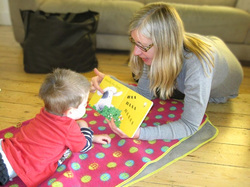 Hanen “It takes two to talk” ( for children with speech and language delay; see www.hanen.co.uk). Anna is a certified Hanen therapist. You can find out more about some of these techniques and links to related websites on our Resources page. Please contact us to find out more about speech and language therapy and to discuss how we can support you and your child.